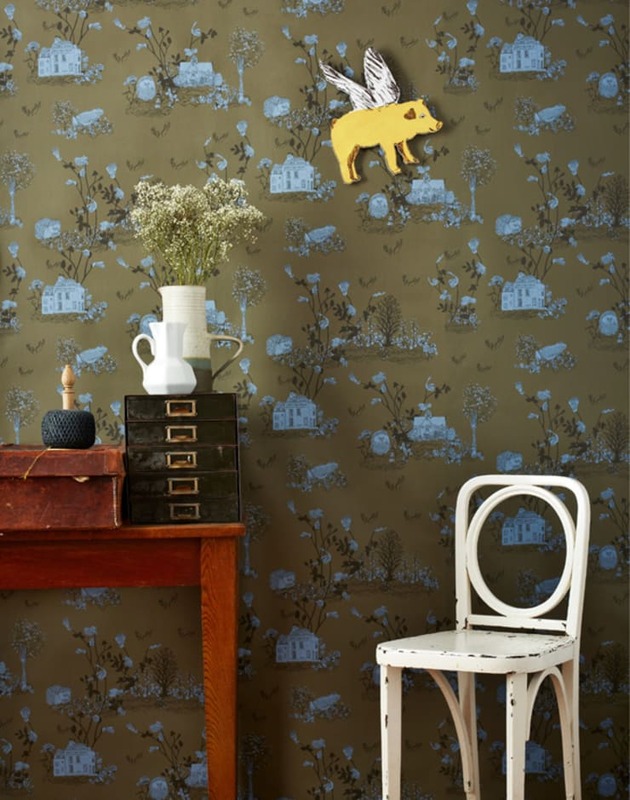 Experience the joy of bringing narrative and fantasy to life in your home with this beautiful, dream-like wallpaper. 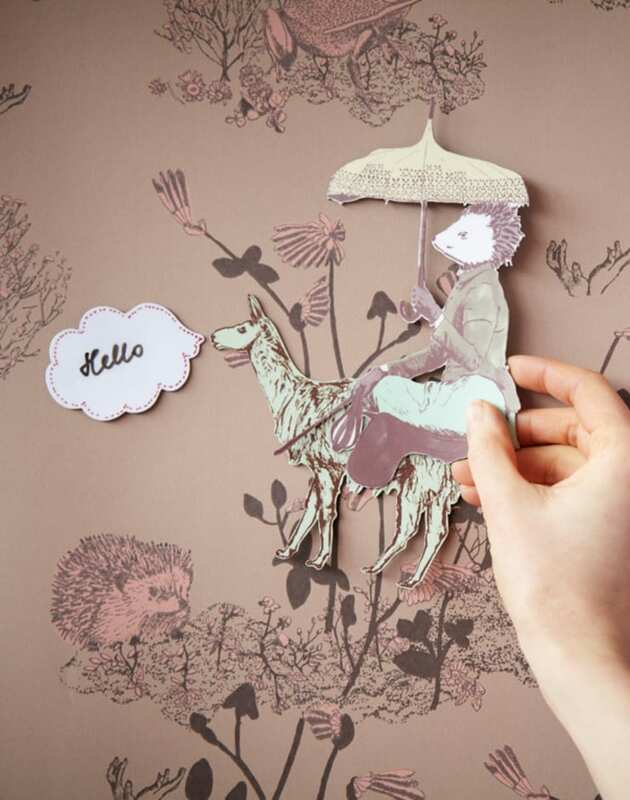 This wallpaper transforms walls into a landscape for playfulness and imagination. 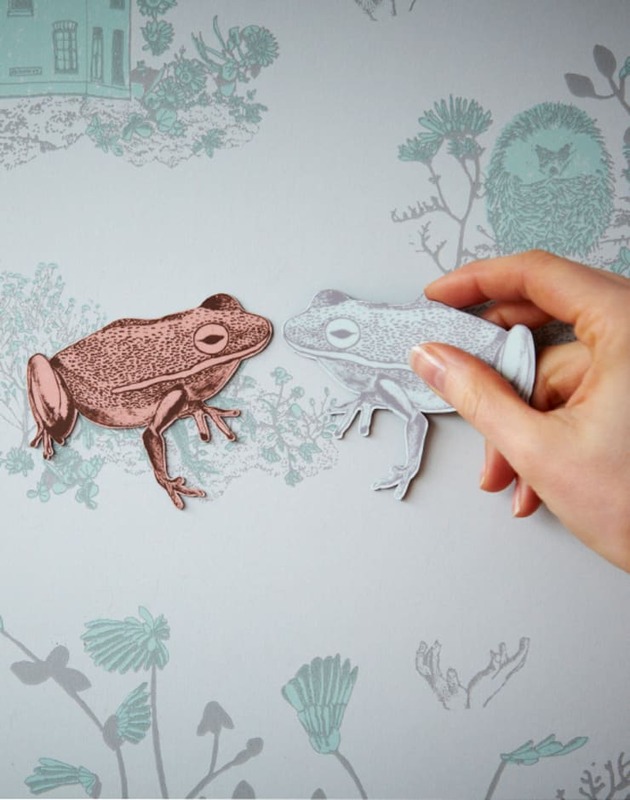 By interacting with the surface, children can create their own magical stories amongst the trees using an assortment of marvellous magnetic creatures and write-on speech bubbles. Sian Zeng’s woodlands wallpaper is a wonderfully whimsical adventure into an enchanted forest of surreal and extraordinary fairy tale creatures. 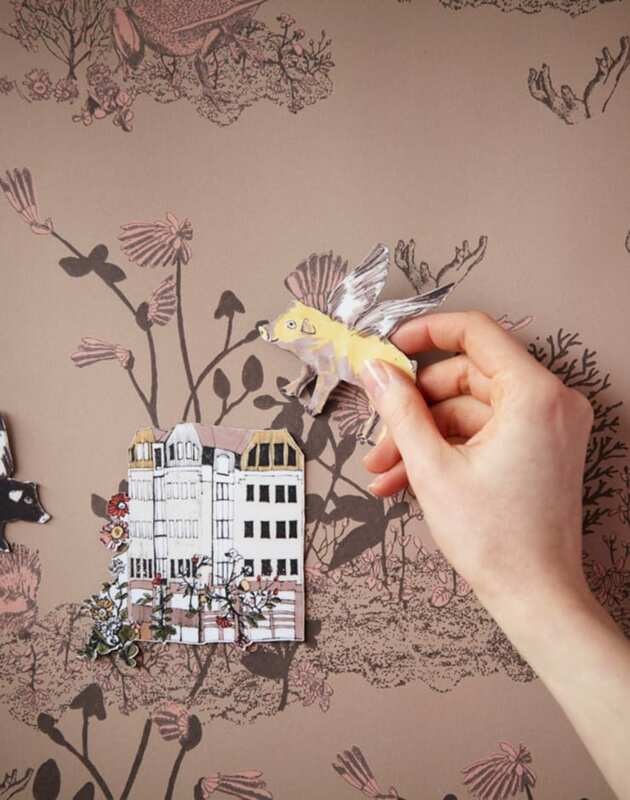 Experience the joy of bringing narrative and fantasy to life in your home with this beautiful, dream-like wallpaper. 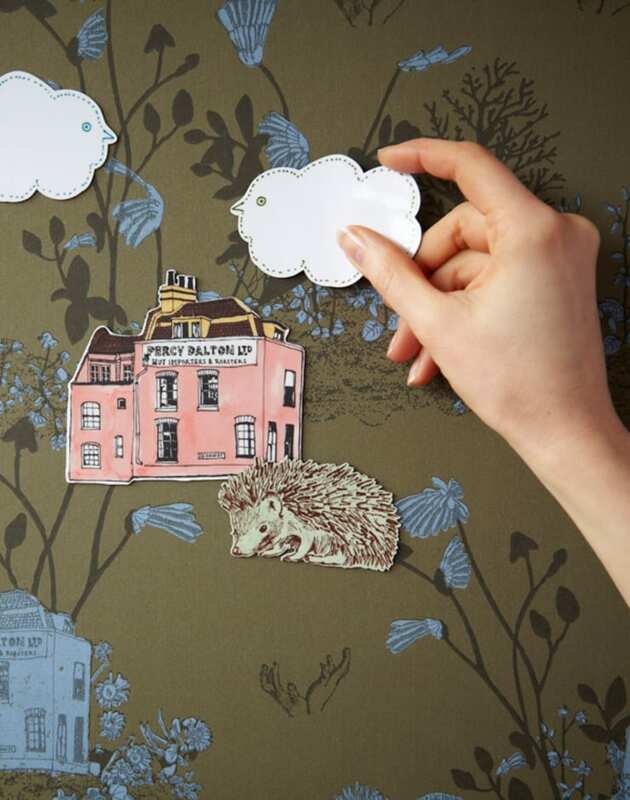 This magical wallpaper in toile style was printed in England with paper from sustainable forests.